0 A.D. is a historical real-time strategy open source game focused on the years between 500 BC and 500 AD. 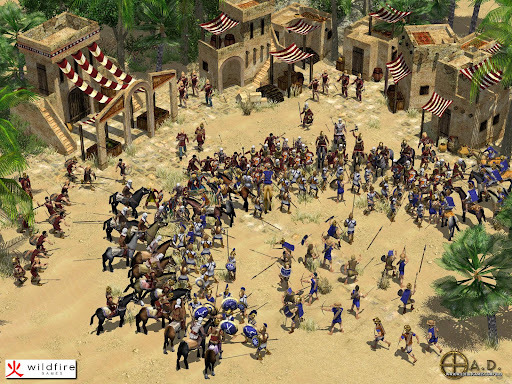 0 A.D, which will remind you of Age of Empires. 0 A.D. was originally a mod concept for Age of Empires II: The Age of Kings. With limited design capabilities, the team soon turned to trying to create a full independent game based on their ideas. 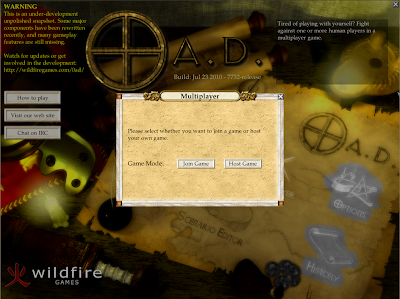 0 A.D. Pre Alpha 3 finally brings multiplayer support so you can now play 0 A.D. with your friends. They don't even have to use Linux since 0 A.D. also runs on Windows and Mac OSX. GUI redesigns: Redesigned session GUI; Redesigned game setup GUI; Changed GUI fonts; Improved text rendering performance; Added fullscreen toggle; Added resizable windows; Added session GUI when playtesting inside the scenario editor; Added on-screen warning/error display. Pathfinding: Added terrain passability constraints; Added terrain movement costs; Added floating units. Bug fixes: Fixed animation speeds; Fixed projectile synchronisation; Fixed rendering bugs; Fixed gameplay bugs; Fixed CPU detection; Fixed GUI text input bugs. The latest 0 A.D. version is available for Ubuntu users to install via PlayDeb: firstly add the PlayDeb Ubuntu repository by downloading and installing this .deb file; once the .deb is installed you should have the repository added. Important: the latest 0 A.D. Pre Alpha 3 is only available for Ubuntu 10.04 Lucid Lynx (even though the version name of the file is pre alpha 1!). Also, even though the Lucid package says "pre alpha 1", it is actually pre alpha 3!